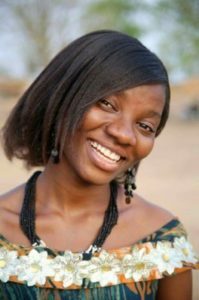 Linda Lariba Atibilla’s quest to campaign against female migration from her community to cities such as Accra and Kumasi in search of non-existent jobs inspired her to start Hope Givers. Hope Givers, established in 2011, is a Shea and natural cosmetic production business started by seed funding from Africa Women’s Development Fund, Enactus Manchester and 70% of Linda’s salary saved over a period of 6 years. She has a Bachelor in Environment and Resource Studies from the University for Development Studies, a certificate in Rural Entrepreneurship, Global Change Leadership and Markets and Livelihood from Coady Institute at St Francis Xavier University in Canada. She is a YALI fellow from the Accra Leadership centre. She is also an incubate from Guzakuza (Ignite) and MBC-Africa. Hope Givers is an Agro-processing business which processes Shea butter and promotes neem oil, baobab, castor oil and natural cosmetics. Hope Givers converts the tons of waste generated from shea, baobab seed and neem seed to organic compost for organic farming as an alternative to the chemical fertilizer. As a climate-smart company, Hope Givers uses the energy saving stove and also safeguards Shea trees extinction via their outreach programs at the community level. It targets individuals, cosmetic shops, Salons, Hospitals and the domestic market to sell most of the products produced. Currently, the business entity supplies to distributors in 7 regions in Ghana. Currently, the factory employs 15 young ladies in the Shea and natural cosmetic production while creating market access for 615 rural women in the Shea industry.